The Spaniard grabbed his first goal of the season and sealed Newcastle United's first win of the season, but he admits it hasn't been easy for him this season. 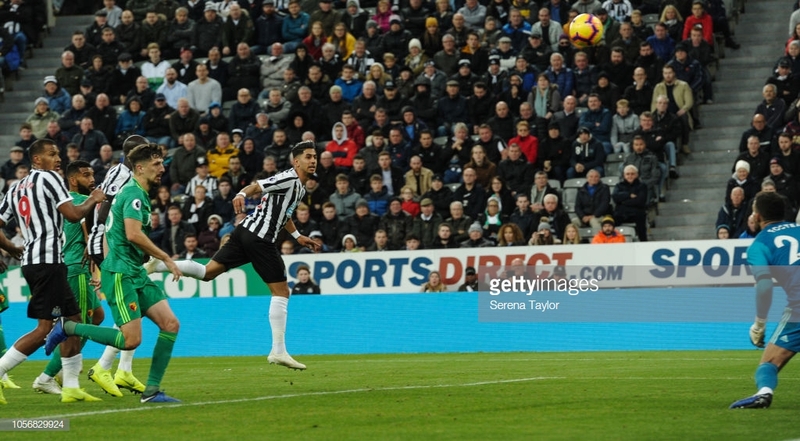 Newcastle United scrapped across the line against Watford on Saturday to eventually move out of the bottom three as Ayoze Perez headed in the winner. Perez is a player that causes a lot of debate on Tyneside as the fans see him as a talented yet extremely frustrating player to watch as a lot of games pass him by, but has the ability to get a goal out of nothing. The Spaniard was dropped for the first time this season by Rafa Benitez but was brought back into the side before halftime as Yoshinori Muto went off injured. Perez spoke to the Shields Gazette: "It's been a tough couple of weeks, but the team stuck together." "This is a great feeling, we have to keep this winning feeling. We just stick together, we are all together. "Even when we are struggling, we have to be together." It has been a difficult campaign so far for Perez as he admits it has been a struggle as he told BBC Newcastle: "It hasn't been an amazing time for myself, but I have been working even more. "I think it's because of my personality, I don't really talk much, I don't complain about anything. "I just keep going, and at the end, I think that sometimes pays off." His manager, Rafa Benitez weighed in on the matter as he added: "It's more proof we need to keep supporting our players." Benitez leaped to the defence of his whole team, including fellow Spaniard Perez: "These are our players. "If they do like they did [against Watford], and like they did last season, then we can stay up." This is proof that Benitez will continue to defend his players and why he selects certain players, even when fans are calling for them to be dropped.